When it comes to dental implants, the most common type is a single unit or single tooth implant. That is where you are missing one tooth, and you replace that missing tooth with an implant. In single tooth implants, the implant itself should actually be covered up by bone. So if that implant is exposed, then there is something wrong with it. 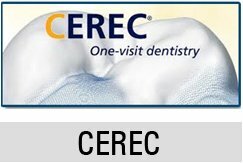 Patients will get a crown that goes on top of the dental implant, and the crown becomes what is essentially the new tooth. Patients should go to see a dentist immediately if an implant ever becomes exposed. If an implant does become exposed, there could be a number of reasons why. While age is a consideration in some dental procedures, it plays no factor in dental implants. Neither does oral hygiene, since the frequency with which someone brushes or flosses will not likely have an impact on the security of the person’s implants. 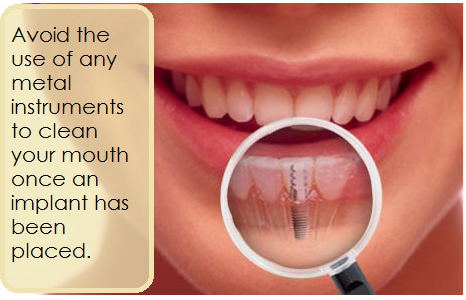 In fact, the most important factor when keeping a dental implant secure and in place has to do with smoking. Smoking cigarettes will decrease the bone in the mouth, which will cause the bone on a patient’s upper teeth to rise up and the bone on the lower teeth to fall down. That sequence of events doesn’t usually happen overnight, but it can happen in a short enough period of time so that the patient will notice changes in his or her mouth. Having extensive bone loss due to smoking can cause some of the threads in the mouth to hold onto more plaque and bacteria. Then the bacteria and the plaque are going to be the culprits that cause even more bone loss. In addition to bone loss, that buildup of plaque and bacteria can cause an increase in bad breath, along with possible tooth decay and infection. Do not use metal instruments to clean mouth. 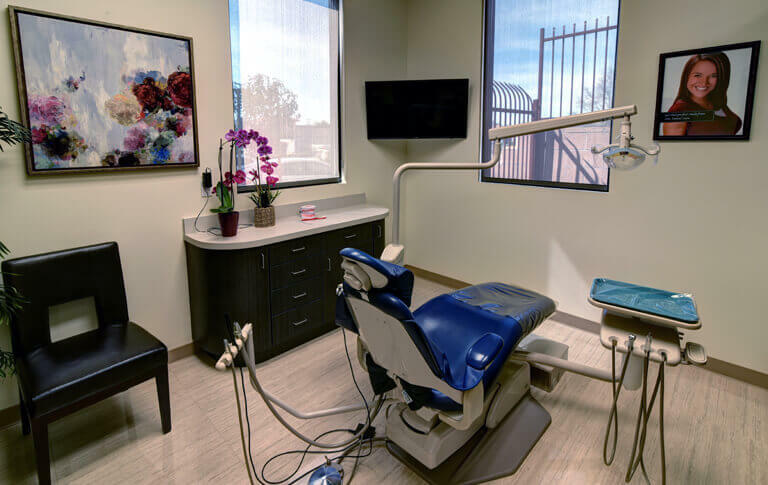 With all that said, we know that the same basic rules of oral hygiene apply to proper dental implant care as well. The proper way to take care of an implant is to treat it like a regular tooth. So you should floss once a day, and brush twice a day. While there is no special toothbrush that people with dental implants need to use, avoid the use of any metal instruments to clean your mouth once an implant has been placed.